Solace London was only founded in 2013 but it's quickly becoming known for its sculptural silhouettes and bold use of color. 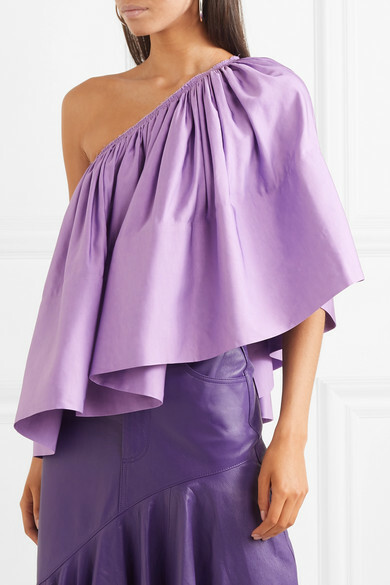 This lilac 'Ora' top is lightly ruched along the asymmetric neckline to create volume through the body. 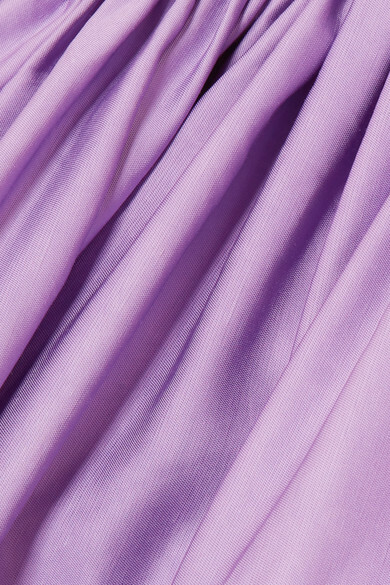 Mirror the shape of the slanted hem by wearing it with the brand's skirt. Shown here with: LOW CLASSIC Bucket bag, REJINA PYO Pumps, Jennifer Fisher Earrings.